It might surprise some that, prior to the late 1960s, college and university music departments sniffed at starting a gospel choir. In a reprise of the early twentieth century church’s disdain for the gospel music of Thomas A. Dorsey, colleges treated the vernacular sacred music with arrogance and condescension. It took a dedicated group of students, Melanie Russell-Lee, the Reverend Rosalind Thompkins-Lynch, and Richard Smallwood among them, to persuade their alma mater, Howard University, that a gospel choir was not only a good idea, it would serve as a musical manifestation of the racial pride sweeping through the country. Pulling the proverbial olive out of the jar led to a proliferation of gospel choirs at HBCUs (Historically Black Colleges and Universities). Today it is difficult to find a postsecondary school, HBCU or otherwise, that doesn’t have a gospel choir. Meanwhile, the pioneering Howard Gospel Choir remains a staple at the school nearly a half-century later, their sound as spit-polished and rousing as ever. 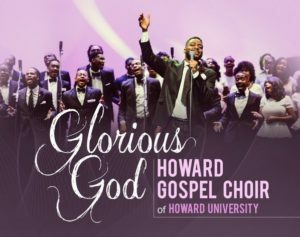 Recorded live on October 4, 2014, at Howard’s Louis C. Crampton Auditorium, Glorious God is the choir’s latest offering. It is refreshing in many ways. First, the packaging is top-rate. In a day when some albums are only available digitally, it is a delight to leaf through a tactile multifold package and booklet complete with lyrics, artfully arranged color photos, and pages of credits and performance notes. Now to the music. The choir makes the rounds of sacred music styles—from contemporary and traditional gospel to Rhythm & Praise to senior choir fare—without compromising its big, bold sound, those deliciously round, robust chords that characterize gospel choirs as much as the Hammond B3 characterizes gospel music generally. “Even Me” signals the sanctity of the devotional service, its sweeping harmonies reminiscent of Smallwood’s finest arrangements. 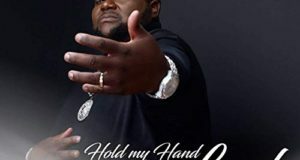 “I Shall Win” is a hand-clapper that transitions into a praise break; all the while, the choir is interpolating the motive “To God be the Glory” from Andrae Crouch’s “My Tribute.” The title track and “Rain” are among the most modern of the pieces, exuding a Rhythm & Praise sensibility, while “Do Unto Others” is a contemporary gospel reminder of the primacy of the Golden Rule. 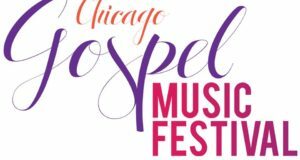 A team of musicians directed by Kevin Golden offer superb support while letting the singers, directed by Reginald Golden and Darrell Brown, take center spotlight. 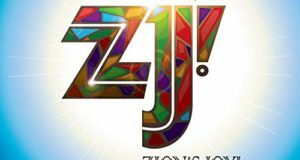 Glorious God exemplifies the power and glory of the university gospel choir, as delivered by the pioneer of the genre. Thanks so much, Will – I appreciate you!